HOME台湾のシェアハウス情報ニュース&ブログニュースBorderless House was introduced on "ETtoday" which is Chinese news media in Taiwan! We are so grateful to get report from ETtoday !! 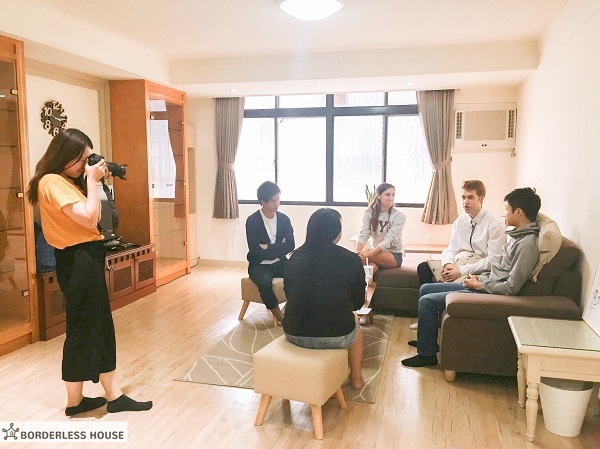 In this article, Most of foreign tenants talked they like BORDERLESS HOUSE because it is the excellent way to live with local Taiwanese people and improve their Chinese and it is safe and comfortable. Also, Most of Taiwanese like BORDERLESS HOUSE because they want to learn different cultures and Interact with different foreigners. We also offer different activities, for example one by one language exchange, language exchange groups, outdoor and indoor activities. If our tenants want to travel in Japan or Korea, they also can live at our BORDERLESS HOUSE there for free! Thanks for supporting us and giving the feedback, so we can keep offering the good service for our tenants. If you want to get more information about this media report and our share house, please click the links below.